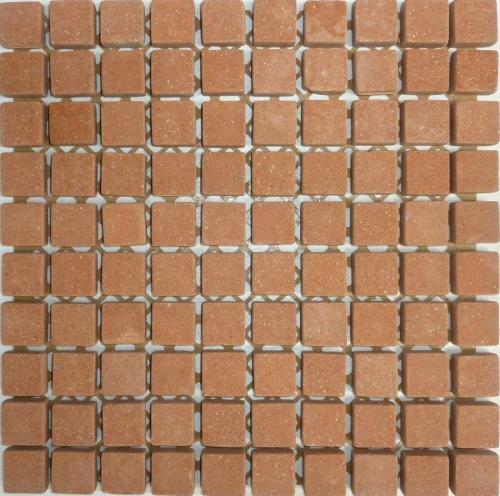 This terracotta mosaic is of outstanding quality and produced in the Tuscany region of Italy. This product combines the tactile pleasure of a handmade product with the strength and absorption properties of the best industrial products. It is frost resistant and should be sealed to provide protection.